There are really so many ways on how to get approved fast of a house and lot collateral loan or what Pinoys call as property pawn (in tagalog it is called sangla) but today, I would to reveal my very own experience in assisting a client who is looking to get approved of the property loan at a high loanable amount as well as how to get high appraisal for pawning the property in 10 simple ways. If you are on your way to apply and use your house and lot for a collateral loan in the Philippines, I hope as a professional loan consultant that I may be able to help you with these tips and tricks. First off, I would like to let you know that most lending companies would allow to appraise your property at the lowest possible they can. Always think of this all the time but there are simple lessons I have learned by assisting clients to make the appraisal value as high as possible and still get to keep your dignity as a borrower and eventually get the most out of pawning to a lending company. This case may not be applicable to all lending companies but may be of use at any time so learn from my experience as a professional Filipino loan consultant. The purpose of loan is critical and of very important consideration when deliberating for loanable amount of a pawned house and lot. If your purpose is takeout or buyout a property, keep in mind to reiterate and give emphasis to the lending company interviewer that apart from pawning your property for takeout, you are going to need extra cash to help a good business you have or a plan to finance a good business to earn more. If necessary, lay out the cards and say your business proposal plan. Be prepared in that case. Never disclose that you only want to have your property taken out of another financing company. Always make reservations with the loanable amount and keep it negotiable. This means that regardless if your property is for takeout or pawning, if your intention is to get 200k loan apart from the buyout amount of 200k, be reasonable enough to consider asking higher price for a loan. Most clients would usually change their mind in the very last minute and decide to pawn their property at a much higher price but could not get what they need or want even if they have the capacity to pay because they failed to disclose a bigger asking price for the pawned property. Disclose as many assets you have remaining with you. Ask a professional loan consultant what else you can use to keep your value as a borrower higher for the appraiser’s eye. All lending companies have appraisers and you must please them. Furthermore, it totally free to consult with a professional like me before you decide to get assisted with your house and lot loan application. You have nothing to loose in asking for help but everything to gain in the long run. Assets may include your used cheques, a car, a jewelry or whatever else you have you know and think have value in terms of monetary form exchange. Disclose other sources of income as well. If you have a business declared as your source of income and you have another property for rent, disclose your contract of lease as part of your source of income. If you have a remittance coming from a loved one or a first degree family member, by all means, disclose them as part of your sources of income. If you have a farm or a business you didn’t think would do, just don’t hesitate to include documents proving that income. Remember to disclose any source of income, big or small for as long as you have documents to prove your claim. Again, of course, you can’t simply arrive at all these if you are not talking to the right person. Ask for a professional loan adviser or consultant. If you need my help, my services are absolutely 100% FREE. Include a co-maker / co-borrower with a stable and regular source of income. If you have a first degree relative, a son, a daughter, you spouse (husband or wife) who had a stable income source, ask them to be your co-maker / co-borrower. Provide their documented source of income proof. This will most likely just be 3-6 months payslip and certificate of employment. Prepare this on hand if you really want to make an impression that you want to get what you want and you’ve come prepared to the interviewer upon submission of your house and lot collateral loan application form, then by all means come prepared and be prepared. Prepare your bank statement. at least 3 months before you apply for a loan, make plans ahead as much as you can in terms of your bank statement. Remember that the longer you have come prepared, the better. 3 months of big deposits and without widthrawals will do it for your this time but if you have 6 months of good standing balance of deposits not necessarily big but maintainable, then by all means do so. This is only compulsory but be sure to manage your deposits well to a level that you won’t need to drain out your pockets. Provide good character references. Bank officials and high company position personnel are great ways to show your credit is really good. This is critical so be sure that prior to applying for your house and lot collateral loan, you have already talked to the people you are going to use as your character references. Make sure to inform them to just be true and tell everything that would eventually lead to a good credit standing without the need to be over acting. Interviewers and account officers who will ask questions are witty and they will eventually know if anyone is just fooling around with them to make a good impression of you. Again, be critical on this part of your game technique. Be true. Simply put, don’t overdo anything and everything. This could lead to the worse case scenario if that happens. Just be true and don’t overdo everything or anything listed on this set of ways to get approved for a higher loanable amount and appraisal value for your property. Have your property done or redone. This simply means that before you take pictures of your house and lot, be sure to do a little of the design outside. If you have a little more money to spend, please have the outside house repainted. In relation to doing and redoing your house, you have to take only the right pictures with the use of the perfect camera. Take note that even if you spent money to redo your property and you don’t have a good camera to use to take pictures to submit as part of the requirements, there is no way the value will reflect in the picture to be submitted to the lending company as part of the basic documentary requirements if filing for a collateral loan (sangla) using your house and lot. This is compulsory too but when done right, will definitely take its toll to your advantage. See list of requirements below for MY PROVIDERS for house and lot loan if you decide to get assistance from me or fill up my application form HERE. Sir panu po kung lot lng ang collateral pwede po b un? tatanggapin po kaya ng banko? Yes, pwedeng pwede po but there has to be certain requirements to meet. Like dapat nasa prime location at hindi tago ang lot and as much as possible sa loob ng subdivision. sir nasa masbate po kasi ang location site ng bahay…?? Good morning po tanung ko po sana kung pwede ko po sangla ang house and lot ko Pero wala pa po ako mapakitang dating po kc wala pa po akung business kayak ko po gusto isangla para po Maka pag umpisa palang po ako mag business. Good day po,gusto ko po sana magsangla ng house and lot,from cabanatuan city po aq,yun unit ko po ay nsa primavera homes subdivision cabanatuan city.sana po matulungan nyo ako.09363269325 yan po contact number ko. Hi, can I still pawn my house and lot even though its still under mortgage with pag ibig? A house and lot loan would only usually allow a fully paid mortgage before you can qualify to pawn it in exchange of cash. On the other hand, I don’t have a provider who would allow loan assuming for that case of yours. paano po kung hindi sa subdivision orgay sa isang barangay sa makati pwede kaya? Hi, could you please let me know by email on how can I contact you. 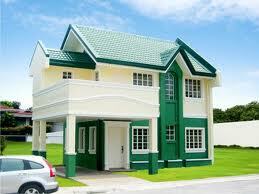 I am planning to pawn my house and lot that is fully paid several years back. it is a 650 SQM house and lot in a subdivision in Laguna. Please let me know your contact number so we can talk and hopefully meet you for consultation. Sir, anyone who can please help me to pawn our house and lot with 5door apartment in a 759sqm. land. Gusto ko po isangla ang house and lot ko, nasa akin na po ang titulo however hindi ko pa napatransfer sa pangalan ko, updated po iyon including tax declaration for both land and building, may chance po ba ako? What if both names naming mag-asawa ang nasa title, does it necessarily mean na kelangan naming mag-appear both?, at mawitness nyo pareho ung signatures naming para masabing genuine? while the other house is being used as storage. Please send me thru my email on how can it be pawn ASAP n get a cahs loan..
Good evening po tatanong ko lang may friend ako gusto isangla titulo ng bahay nya sa akin. Ano ba rules kung hindi na nya matubos ang titulo ng bahay? Pwede ba na mapunta sa akin ang bahay? Thank you. Kapag ba may nagsangla ng titulo ng bahay, gaano katagal ito, para malaman ko kung pwede na mapunta sa akin ang bahay? Is it possible to pawn the house and lot and not pay the bank at all? Parang ang dating e binenta lang sya at a lower price. Pwede nilang ireposses yun? Thanks! possible… the only problem is that if you do that, you’ll end up with bad credit standing with banks (all banks practically) and if that happens, you won’t be able to get any form of loan at all in the future. My suggestion is if you really intend to sell the property, then sell it… That way, you get a much higher price for the collateral. With banks I must say, they’ll only appraise your property at a very low value of possibly as much as 60% of its market value if you are lucky. Sell it instead and you’ll have no problems. I’ve got a few questions, if you don’t mind. 1. I’m trying to know if I can loan my land in the Philippines as a collateral to open up my first ever business. It’s an agricultural type of land. Not a blank space, neither it’s generating any income. 2. If the land is eligible, is it advisable to get the loan from a bank within the area or any bank location doesn’t really matter. 3. Pertaining to the requirements, I am currently a full time student and unemployed. How does that affect my eligibility as a borrower? However, I do have some savings in a bank in the Philippines and i have a little investment in a growing company as well. Also, which credit score will they check? Mines here or there? May I ask if a untitled agricultural lot 93hectares located in ilocos..can be pawned against a 500k loan? Good afternoon. I am interested in getting a collateral loan but the real property that I have is still to be transferred to my name. Thats the purpose of the said loan is to have it transferred to me. Can this be accommodated? The Lot Area is 453 sq/m. located at Barangay Zapote, Las Pinas. BTW, the title had already been annotated that I have certificate of sale and the 1 year redemption period is over. hi po,ask ko lang,sangla ko po sana title ko,house and lot in a subdivision but my husband dont want to cooperate sa mga requirements like coe,payslip,etc.me naman po i have a regular monthly sss pension of my mother na binibigay po nya monthly coz im the only child and shes in usa.how can i apply for the loan if i dont have the supporting documents needed?thank you very much. sir paano po Qng ung property n lupa ay nasa palawan..at ung borrower ay nandito s Maynila ano pong mga requirements ang kailangan? Hi,Gusto ko po isanla house & lot ko under the name of my son, minor age pa po sila.